Before reading more about Dextre, it is important that you know more about NASA Robots. Click on the link below to know more. You may also be interested in the article below. Dextre is also called the Special Purpose Dexterous Manipulator [SPDM]. It is a NASA robot and was basically designed as a two-armed robot. It was assigned as a telemanipulator in the Mobile Servicing System on the International Space Station [ISS]. The robot was also used for other space oriented jobs. The robot was first launched on March 11, 2008 on mission STS-123. Dextre was developed and designed by the MDA Space Missions with a joint contract from the Canadian Space Agency. This robot is considered to be a contribution to ISS. The Canadian Space Agency will be responsible for all the future operations that are to be performed by Dextre. Even the training f the station crews will be given by them. The name Dextre was given mainly due to its dextrous nature. The main person behind the design and manufacture of Dextre is MacDonald Dettwiler. The robot was completely developed by June 2007. Later it was tested for flight verification and shuttle integration at the Kennedy Space Center [KSC], in Florida. 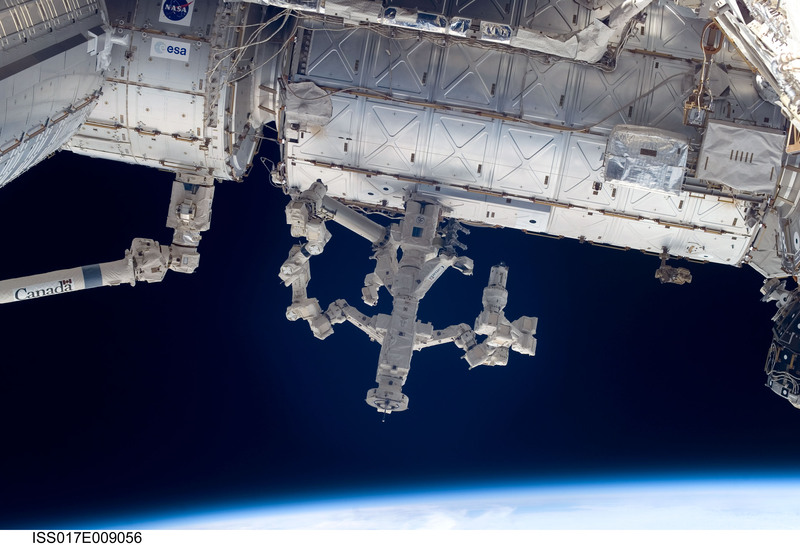 Dextre looks like a headless torso with 2 very strong arms that are 3 metres long. The body is 3.5 meters. The waist of the robot can rotate in a lever system. The body has a claw design which is used to hook on to the larger Space Station Arm. The robot also has built-in jaws, a retractable socket drive; a closed-circuit TV camera, lights, and wires that receive and transmit provide the power, data and video to and from the payload. All the data storing and transmitting devices are stored in the lower part of the robot. The lower part also stores three types of tools that can be used for performing various tasks in outer space. It can be a very good engineering project for electronics engineering students. how can i get the full information about this robot.